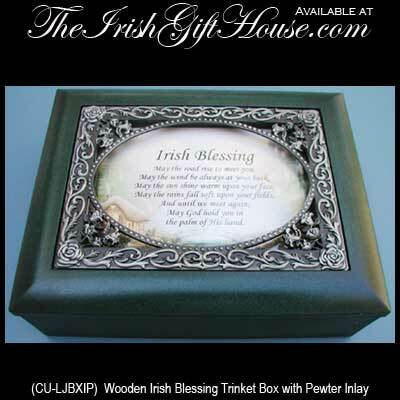 This wooden jewelry box features the Irish blessing along with pewter inlay on the lid. The Irish jewelry box has a felt lined compartment and bottom and measures 7” x 5 1/2” x 2 1/2" tall. This Irish trinket box is gift boxed, complements of The Irish Gift House.